Spokane County has been awarded nearly $1 million to create a “smart re-entry” program for people released from the county jail. The grant from the U.S. Department of Justice will fund the Pathways Community HUB program, in which public health workers will visit jail inmates to identify which services they will need once released. The county says the program is based on a similar one in Michigan that has been shown to lower recidivism by up to 36 percent. 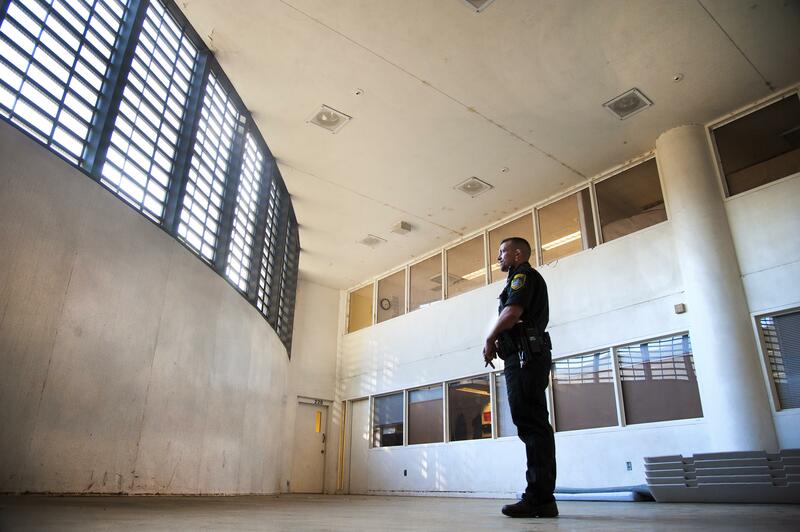 “The way the system is currently structured, people who come out of jail may or may not have a re-entry plan,” said Jacqueline van Wormer, the county’s criminal justice administrator. Probation officers might ask about services a person is utilizing, “but there’s no follow-up” to ensure those services are working, she said. The Spokane Regional Law and Justice Council authorized a pilot version of the program in June in partnership with Better Health Together, a subsidiary of the Empire Health Foundation. It’s a collaborative approach in which local service providers share information in a central online database – the hub – to track clients’ progress and monitor the effectiveness of treatment. Health workers will visit inmates a week or two before they’re released and assign them one of 20 different “pathways,” or areas of need, Carl-White said. Those pathways include housing and transportation assistance, education and employment opportunities, family planning, and physical, dental and behavioral health care. The program will target younger adults, ages 18 to 35, who are deemed likely to commit new crimes once out of jail. Data collected through the program will be broken down by age, gender and race or ethnicity. Van Wormer said Spokane County is one of only five counties in the nation to receive the Justice Department grant. It’s in addition to a $1.75 million MacArthur Foundation grant aimed at reducing racial disparities and the overall population of the jail. Van Wormer said re-entry programs, like many other reform efforts, have focused on people released from state and federal prisons, not county jails. Carl-White said a version of the HUB program was launched in Ferry County several months ago, and the early results are promising. She called it “a really phenomenal opportunity for our region to connect numerous disparate efforts” at rehabilitating former inmates. Published: Sept. 29, 2017, 5:30 p.m. Updated: Sept. 29, 2017, 9:53 p.m.